By accessing and using the Site, you accept without reservation the application of the General Conditions of Use and of the applicable clauses for the protection of personal data (see the Personal Data Charter). The user is encouraged to consult online regularly. To access the Site, you must be the legal age for the consumption and/or purchase of alcohol according to the legislation in force in your country of residence (the highest age being that taken into consideration). The necessary hardware and software to access the Internet and the Site are the responsibility of the users of the Site. The Company reserves the right, in its sole discretion, to suspend or terminate access to all or part of the Site, its content or services offered on the Site, without prior notification and without being liable to give any compensation for the benefit of a user. It is strictly forbidden to modify the software elements of the Site in order to gain unauthorized access to the Site. The Site contains links to other sites or other Internet sources. To the extent that the Company cannot check these sites and these external sources, the Company cannot be held responsible for the content, advertising, products, services, or any other element available on these sites or external sources. In addition, the Company will not be held responsible for all damages or losses (proven or alleged) arising directly or indirectly from the use of any content, goods, or services available on these sites or external sources. – that, where appropriate, the information user provides is accurate, honest, and up-to-date. Users must demonstrate responsible and lawful behavior on the Site and be courteous and respectful to the rights of other users of the Site, the Company, its affiliated companies, and third parties. – send by e-mail or transmit by any other means any content of the Site to a destination for people who are not of the legal age to consume and/or purchase alcohol in their country of residence. Each user agrees to comply with all laws, rules, and procedures applicable to the behavior of online users and to the transmission of technical data. When applicable, the Company may terminate a user’s right of access to the Site at any time if the user does not fulfill his obligations under the General Conditions of Use, without prejudice to the right of the Company to claim damages. The users of the Site are solely responsible for the content that they post on the Site and for the consequences of their distribution. The Company does not endorse any content, opinion, recommendation, or point-of-view expressed by the users on the Site and declines any responsibility related to the content posted on the Site. However, the Company reserves the right, without any obligation, to decide if the content posted by users complies with the requirements specified in the General Conditions of Use and may delete all content that violates these General Conditions of Use and/or prohibit access to the Site to any user due to the submission of such content, at any time, without notice, and in its sole discretion. You agree that the Company will be able to freely use, without any restriction and free of charge, the content posted on the Site. The Site and each of its elements (such as texts, directed links, software, animations, photographs, illustrations, images, diagrams, audio tapes, logos, trademarks, designs, and models), including the software elements necessary to the operation of the Site, databases, and newsletter (hereinafter known as « Content ») may contain confidential information and data protected by intellectual property law or any other applicable law. Thus, unless otherwise noted on the Site, the intellectual property rights to the Content are the exclusive property of the Company, the latter does not grant to the user any license or any other right except that of consulting the Site. It is also prohibited to copy, modify, create a derivative work, assemble, decompile, assign, sublicense, or transfer in any way any right relating to the Content or to the Site. The Company will ensure the protection of personal data transmitted by the users of the Site. The Company invites users of the Site to consult the Personal Data Charter which specifies the provisions put in place to ensure the processing of data. The collection, processing, use, transmission, preservation, and the protection of your personal data are governed by the Personal Data Charter. The Company strives to ensure to the best of its ability the accuracy and updating of the information published on the Site. However, the Company cannot guarantee the accuracy, correctness, or completeness of the information available to users on the Site. • and more generally for all direct and indirect damages, regardless of the causes or consequences, which may occur as a result of access to the Site and resulting from any information coming directly or indirectly from the Site. The General Conditions of Use, as well as the Personal Data Charter to which reference is made are governed by French law. Except where legally provided to the contrary, any disputes concerning the Content and use of the Site is subject to the exclusive jurisdiction of the competent court in the place where the Company has its registered office, including in the case of appeal, multiple defendants or of summary proceedings or on request. The Company shall endeavor to ensure, to the best of its ability, the accuracy and the updating of the information disseminated on the Site. However, the Company can not guarantee the accuracy, the precision or the exhaustiveness of the information made available to users on the Site. and more generally for all direct and indirect damages, whatever the causes or consequences, which may occur as a result of access to the Site and resulting from any information coming directly or indirectly from the Site. Unless otherwise required by law, any dispute regarding the Content and the use of the Site shall be the exclusive competence of the competent court within the jurisdiction of the registered office of the Company, including in the event of a warranty claim, multiple defendants or Proceedings on summary judgment or on application. The purpose of this document is to inform you about the SCEA of the domain of Coyeux and its general conditions of sale on line (Contractual Conditions). You must read carefully the following provisions, as they constitute an electronic contract establishing the general conditions of sale of the electronic shop of the SCEA domain of Coyeux. The “Double-click” that you will execute after completing your We recommend that you keep all electronic and paper documents related to the order until it is completed. The buyer will receive an email warning him of the shipment of his order. However, the SCEA of the domain can not in any case be held responsible for the non-execution of the order in case of force majeure. The SCEA of Domaine de Coyeux reserves the right to cancel any order from a customer with whom there is a dispute relating to the payment of an earlier order. All prices are quoted in Euros (all taxes included) plus shipping costs (unless otherwise stated). The site domainedecoyeux.com may be required to modify its prices at any time but undertakes to apply the rates in force indicated on the site at the time of registration of the order subject to availability on that date and its payment. All orders will be honored within the limit of available stocks. In case of stock shortage, we undertake to notify you by e-mail within seven days from the date of your order. We will let you know in what timeframe this product (s) could be delivered to you. You can then cancel the order if you wish. Without a reply from the buyer within 7 days (seven working days) from the alert email indicating the delivery time the SCEA of the estate of Coyeux will consider that the buyer maintains his order and accepts the new delay. The scope of our deliveries is limited to metropolitan France alone. The SCEA of Domaine de Coyeux will make every effort to ensure that your order is delivered to you on time. We may not be held liable for the consequences of delayed delivery or loss of a parcel caused by a third party or yourself or due to an unforeseeable and insurmountable cause constituting a case of force majeure . 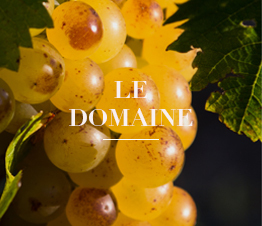 In the event of a shortage of stock and consequent lengthening of delivery, La SCEA du domaine de Coyeux undertakes to notify you within a maximum period of seven (7) days from the date of your order. In the same way, in case one of the ordered items is temporarily unavailable, the entire order will be delivered once the last item is available. In any case, an e-mail will notify you of the situation and you will then be able to choose an outright cancellation of the order of this article and we will refund you within thirty (30) days. If the Buyer is absent at the time of delivery, he undertakes to fetch the item (s) on the premises of the carrier or one of its representatives as soon as possible. If the item (s) is (are) returned to the Coyeux Estate SCEA, the buyer accepts that the item (s) Any shipping costs that he has paid will not be refunded to him. In addition, the buyer must pay the cost of the redirection. In the contrary case the SCEA of the domain of Coyeux will not refund the merchandise returned during this order. In all cases the Buyer shall notify the SCEA of the estate of Coyeux of the non-receipt of its purchase as soon as possible so that the latter takes all the provisions either to carry out a new delivery or to have the parcel returned to the SCEA Of the domain of Coyeux. If the Purchaser does not notify within 72 hours, the parcel is deemed to have been delivered. Any claim concerning the number, content and condition of parcels must be clearly and precisely notified to the carrier himself on the delivery note which you will have to sign. You must also inform us within 24 hours of receipt of the package, by sending an e-mail to the address contact@domainedecoyeux.com, specifying your details, your invoice number, the references of the product On the invoice and specifying the reasons for your claim. We strongly recommend that you open the package (s) in the presence of the delivery person and ensure that the goods are in good condition. If necessary, you must make a reservation on the delivery note. In the absence of precise and detailed reservations on the delivery note, the goods shall be deemed to be delivered in conformity. 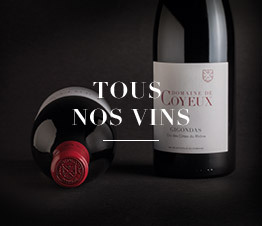 In any case, you have 48 hours to send us an email and to keep us informed: to the address contact@domainedecoyeux.com. The payment is made online, at the time of the order, in secure transaction SSL (Secure Socket Layer) and 3DSecure via our Crédit Agricole banking partner. An invoice, with VAT details, will be sent to you by e-mail. It will also be accessible via your account. Keep it: it will serve as proof of payment. In accordance with article L121-20 of the Consumer Code, you have a period of fourteen (14) days to exercise your right of withdrawal from the day of purchase. You have the same time limit after the communication of your decision to withdraw to return the parcels ordered at your own expense. You will then be refunded the amount of your invoice. Only new products will be accepted in their original packaging. Any product which has been damaged or whose packaging has been damaged will not be taken back or refunded. Similarly, the risks associated with the transport during the redirection (breaks, blows, losses) will remain, without exception, your responsibility. Do not forget to attach your bill when you return. Once the product (s) has been returned and found to be in compliance with the Coyeux Estate SCEA, you will receive your refund within 14 (fourteen) days. The refund will be made to the billing address registered in the customer account, by credit of the bank card used. It is agreed that the goods delivered and invoiced to the customer remain the property of the SCEA of the estate of Coyeux until full payment of their price, in application of Law n ° 80-335 of 12 May 1980 and Articles 115 paragraph 2 And 122 of law no. 94-475 of June 10, 1994. In the event of non-payment, the SCEA of the estate of Coyeux will be able to claim the goods. In any case, the provisions relating to the retention of title do not impede, from the delivery of the property to the buyer, the transfer to the buyer of the risks of loss or deterioration. The products offered comply with the French legislation in force. The photographs and the descriptions of the articles are present on the site as an indication, in order to help the buyer to make his choice. They have no contractual value. The SCEA de la domaine de Coyeux can not be held responsible for any breach of its obligations under these general terms and conditions of sale due to facts beyond its control and / or resulting from a case of force majeure recognized as such By French courts and tribunals. These general conditions of sale are governed by French law. In the absence of an amicable agreement between the two parties, the court of Carpentras will be the only competent.